This year the country's GDP will amount to 66.652 billion manats ($39.20 billion), according to statistics released by the International Monetary Fund (IMF). Thus, for five years the country’s economy will grow by 48.4 percent. Moreover, the statistics reads that Azerbaijan's state budget revenues in 2018 are expected to reach 26.242 billion manats ($15.43 billion), and expenses - 25.740 billion manats ($1514 billion). Thus, the state budget surplus will amount to 502 million manats ($295.24 million). 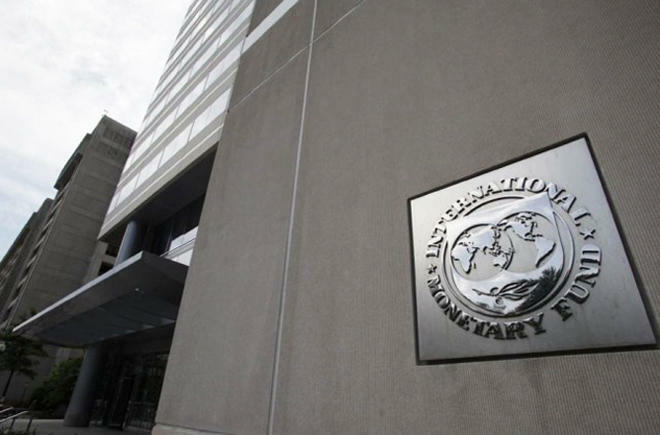 The IMF forecasts a deficit of the state budget in 2017 in the amount of 211 million manats ($124.1 million) (with incomes in the amount of 25.207 billion manats ($120.69 billion), expenditures - 25.418 billion manats ($14.95 billion)). The fund's forecasts are more optimistic than the expectations of the Azerbaijani government. This year, the government approved revenues of the state budget in the amount of 16.766 billion manats ($9.86 billion), and expenses - 17.941 billion manats ($10.55 billion). As a result, the government expects a deficit in the amount of 725 million manats ($426.4 million). The IMF is an organization of 189 countries, working to foster global monetary cooperation, secure financial stability, facilitate international trade, promote high employment and sustainable economic growth, and reduce poverty around the world. The IMF's responsibilities: The IMF's primary purpose is to ensure the stability of the international monetary system—the system of exchange rates and international payments that enables countries (and their citizens) to transact with each other. Azerbaijan joined the Fund on September 18, 1992.